The First, ANBA is located in a prominent part of Madison the City, just off of Highland Colony Parkway. Set apart as a marquee branch location, the building’s exterior design is of a New Classical architectural style that exceeds the architectural design requirements of Madison. 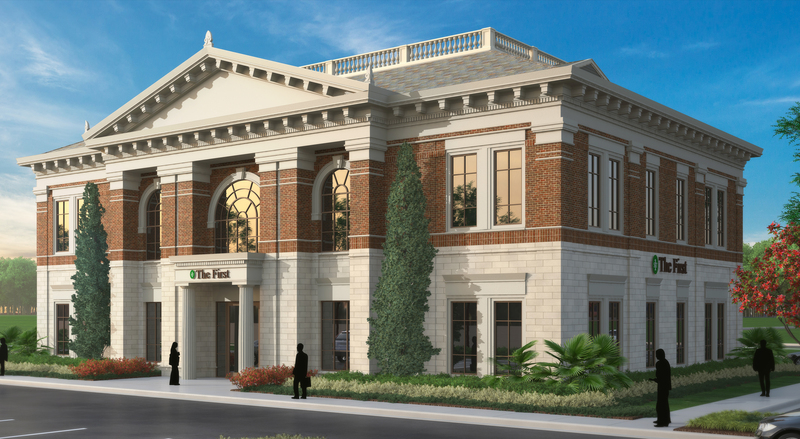 Inside, the materials including wood, metal, glass, and glass tile reflect a transitional style and color is used to strengthen the branding of the bank. The bank lobby is formed around a modern approach to banking customer service which uses pods in lieu of traditional teller lines. 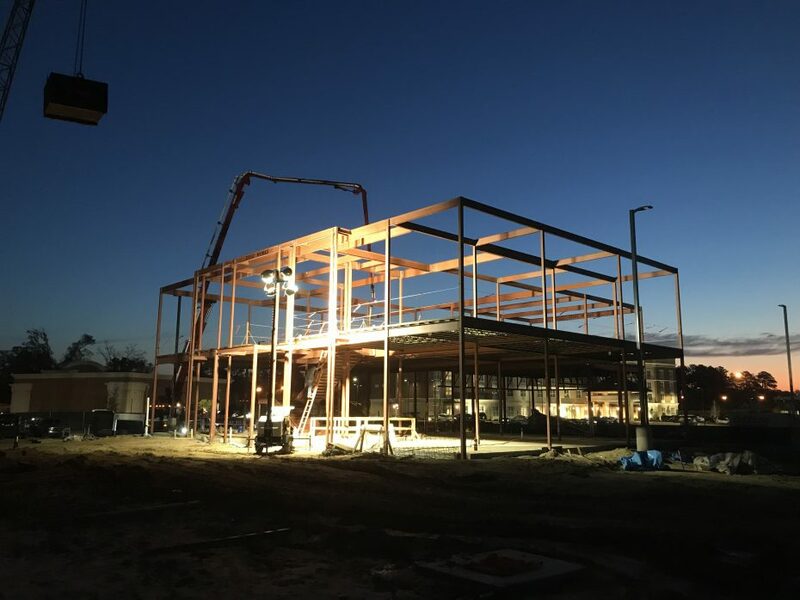 The building is currently under construction and is expected to be complete by the start of 2020.